The gig Peroxide organised tonight, went rather well. Some good sets. Post 84 had to pull out last minute, but were replaced with the rather fine Gung Ho (some shared band members & stuff). Kryophere were excellent so reports say. 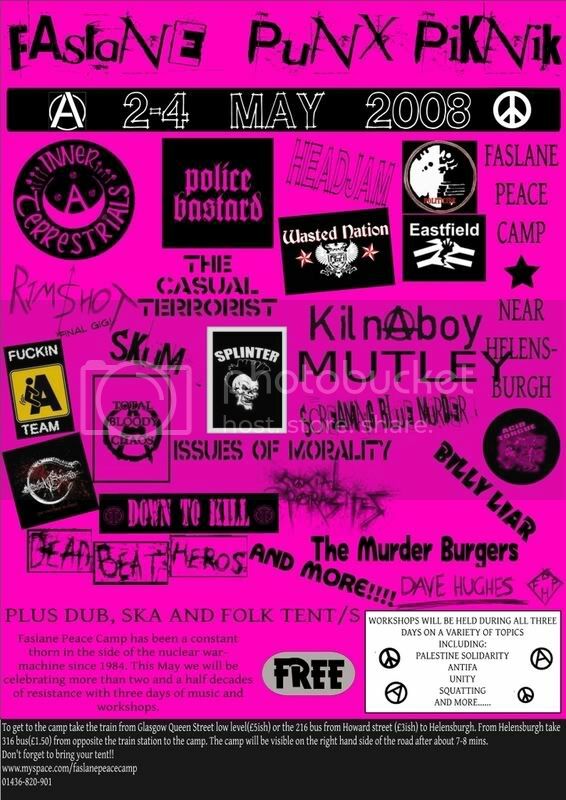 Anyway nigh on £200.00 was raised for Faslane, & if your in that area next weekend, your in for a treat. Check flyer.